To celebrate the launch of our brand new Celebrities & Heroes range of experiences, we’ve got a little competition for you to get your teeth into. Want to be in with a chance? 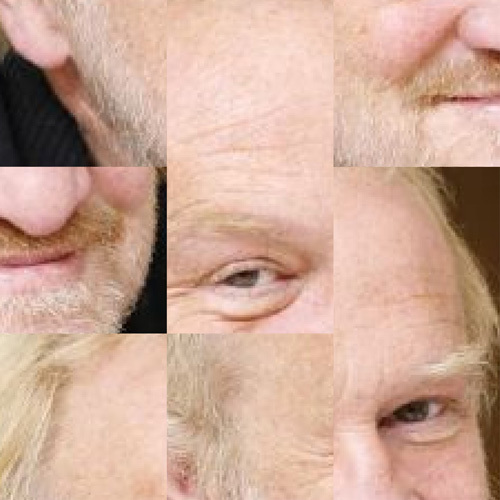 Take a look at the three scrambled up pictures below, and send us an e-mail with the names of the three celebrities. 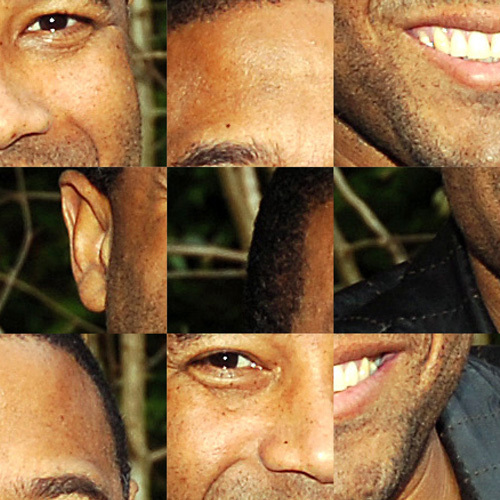 Think you know who these famous faces are? E-mail the three names to blogteam@redletterdays.co.uk, with “Celebrity competition” in the subject line. The competition closes at 11am on Monday 25nd February. Good luck! 1. By entering this free Prize Draw you agree to these Terms and Conditions. 2. This Prize Draw is open to residents of the UK and Eire, except for employees of Red Letter Days, their immediate family members, or anyone else associated with this Prize Draw. 3. You must be over 18 years of age to enter. 4. 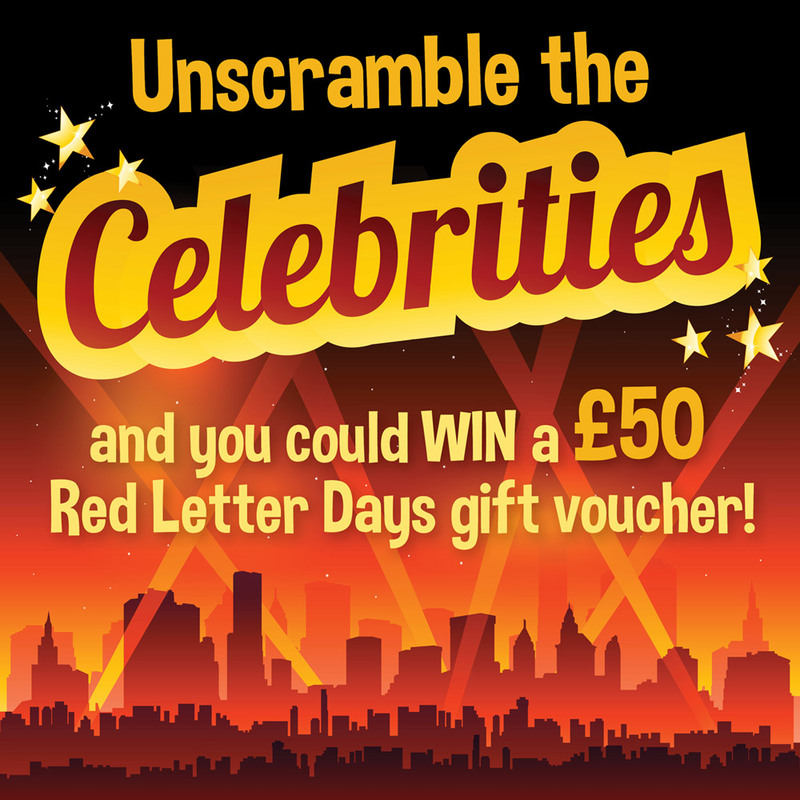 The prize is a £50 Red Letter Days gift voucher – redeemable for the amount against a booking made on the Red Letter Days website. In order to redeem your prize, you can register your voucher here https://www.redletterdays.co.uk/Redeem or call on 0845 640 8000. 5. The gift voucher can only be used once and cannot be exchanged for cash or any other alternative. 6. The gift voucher is valid for one year. 8. The Prize Draw opens on Friday 22nd February at 11:00 and entries must be submitted by Monday 25th February 11:00. 9. Only one entry email per person. 10. Any entry account which breaches these rules will automatically be disqualified. 11. Red Letter Days accepts no responsibility for late entries, delayed entries or non-receipt of entries due to any reason whatsoever, including technical faults or inability to access Twitter or the Internet. 13. The winner will be drawn at random from all correct entries, and announced on the Red Letter Days Facebook and Twitter pages on Monday 25th February. 15. If winner has not responded within the seven days following notification, the prize will be forfeited and a new winner will be selected at random. 16. Prize is non-transferable and non-refundable. There is no cash or other alternative to the prize, and the prize must be taken as offered. 17. Red Letter Days reserves the right to substitute the prize for an alternative one of its choosing which has a value the same or greater than the original prize in the event of circumstances outside of its control. 18. By entering the Prize Draw the winner agrees to participate in such promotional activity and material as Red Letter Days may require. 19. The winner’s name will be available for two weeks after the draw by sending a SAE to Joshna Patel at the address below. 20. These terms and conditions shall be governed by English law and exclusive jurisdiction of the English courts.